What are non-carious cervical lesions? Dental abfraction is one of the non-carious cervical lesions, but there are mainly three types. Many teeth problems comes from bacteria for example cavities, which appears due to the lack of hygiene, these bacteria can pierce the tooth and reach the root and make the tooth useless. In the case of non-carious cervical lesions, after the enamel has worn away at the level of the neck of the teeth, it can cause sensitivity to hot and cold drinks and food. In other words it is the loss of hard dental tissues produced by a lot of weight on the teeth, such as the forces produced by occlusal pressure. This dental damage affects mainly the vestibular surface of canines and premolars of adults and the elderly. 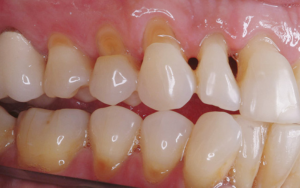 Non-carious lesions are damages caused by tooth wear, which causes an exaggerated response of pain related to the exposure of dentin to chemical, tactile or thermal stimulus. It is the involuntary act of grinding or clenching the teeth for different reasons, with stress being the main one. It is characterized by presenting a smooth, polished, smooth surface, with regular contour. This is the chronic and painless loss of tooth structure due to the action of non-bacterial acids from citrus fruits, soft drinks, wines, medicines. What actions can damage your teeth? 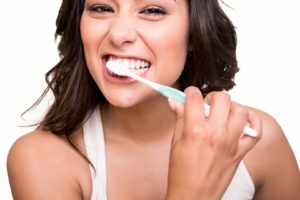 Brush your teeth incorrectly: The use of a brush with hard bristles and a bad brushing technique can make you have dental problems, this is why dentists recommend to brush your teeth softly and in circles. Chewing gum: This is something that dentists usually recommend to produce more saliva, but when you chew gum every day you can wear your teeth due to the constant pressure of the chewing. 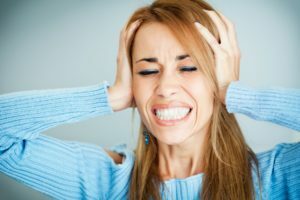 Clench your teeth: This is the main reason of why someone can have dental abfraction, this bad habit is called bruxism, and it usually happen unconsciously due to stressful situations. Consuming many acids in drinks and food: When you drink cola, sodas, black tea, and juicy drinks you can develop this kind of oral injuries. 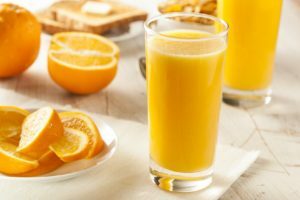 Acids like orange, lemon and grapefruit are recommended to clean your stomach and because they contain vitamins, but do not drink them daily, it can wear your teeth enamel. Eating disorders like bulimia: These eating disorders are living in many young people and even in adults, purging is practiced after feeling ashamed of your body, but what most of these people do not know is that bulimia gives you several dental issues like erosion. Resins: It is an aesthetic paste that thanks to its flexibility adapts perfectly to the surfaces of the teeth. Occlusal guard: It is a mouth guard that acts as a clear acrylic cover. Psychological treatment: If you have an eating disorder like bulimia you need to be attended for a psychologist. If you have a dental problem, contact our clinic, one of our professionals can help you to restore your smile. We are located in the beautiful city of Sunny Cancun. Our clinic have the most affordable prices for your needs. Which are the benefits of using mouthwash? How do I find out if I’m grinding teeth?